Thinking Out Loud – Page 49 – I like movies. Movies are good. Ever know you’ve seen a movie, but can’t really remember it? So after seeing the Tim Burton remake, I decided to put the original on my Netflix queue because I just couldn’t spark the brain cells that contained my recollections of it. This is the first of two posts that are bound to upset friends… this one will surely hurt the feelings of H the Mean Teacher. 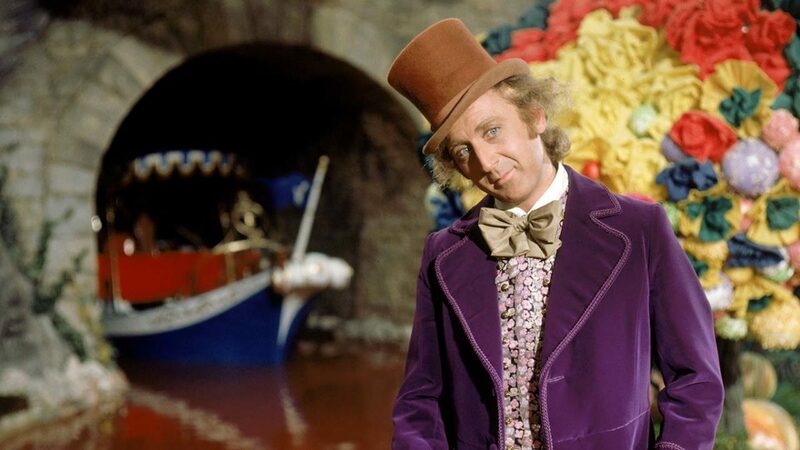 First I come down hard on Nirvana, and now I am ambivalent about one of her favorite movies! For that I’m sorry, but I think I can mitigate the damage by briefly explaining my rating system. In a word, it’s subjective. I’m not trying to be a film critic (or rather, what a film critic ought to be, in a perfect world), whose job it is to evaluate a film’s quality and achievement in light of a deep knowledge of world cinema and then leaven it with a personal perspective. Rather, my ratings are the inverse: the personal response first, and then a consideration of the movie’s history and general critical consensus. I wouldn’t necessarily give an acknowledged classic a high rating if I personally didn’t care for it. Sorry to add insult to injury, Mean Teacher, but I also must say here that I unexpectedly loved the Tim Burton remake. 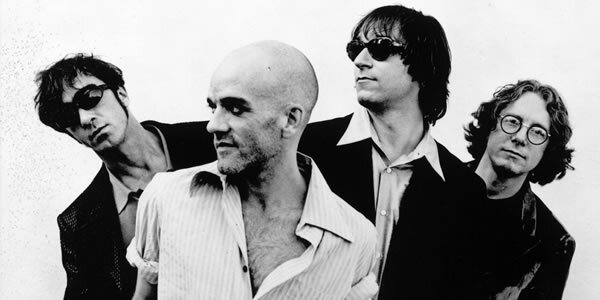 Being an unapologetic iPod/iTunes addict, I’m not too ashamed to announce I just finished ripping all of my R.E.M. cds. So this is blogworthy exactly how, you ask? Well, I was moved to post here because, all told, it amounts to over 28 hours of music. 28 HOURS! Isn’t that amazing? On second thought, I suppose one could say that a day’s worth of songs isn’t that much considering the band’s recording career is at least 20 years and running. But I’m sure there’s a completist out there with every soundtrack, b-side, and bootleg whose pile o’ R.E.M. MP3s reaches into not days but weeks. Part of my iTunes obsession involves rating every track (seeing as how I’m constantly ripping more cds, it’s also a sisyphusean Big-Dig-type job). So a quick glance at my track-by-track ratings betrays my favorite albums, in rough order: Document, Life’s Rich Pageant, Up, Monster. Least favorites? The two most recent: Reveal and Around the Sun. What happened after Up? I know that album isn’t well-regarded, but personally I love it for its flaws and honestly, its weirdness. It’s their first album after drummer Bill Berry left the band, and it shows them reaching for a new sound. Perhaps the touches of electronica are a bit dated (Bowie and U2 have also left much of that behind by now), but I like it. Unfortunately, the identity they chose is to follow up on the tone set by the most bland song on Up, Daysleeper. It’s the sort of jangly ballad R.E.M. can dash off in their sleep. It lets the album down, and it’s a real bummer for the next two whole albums to share that feel. Oh well, I’m sure I’ll buy the next one to see if they jump off the cliff again. Yes, officer, I’d like to file a report. You see, I’m being threatened. I received word that If I don’t actually start writing stuff in my blog, I’m going to have my virtual pants pulled down in front of at least half a dozen complete strangers with well-tended blogs. Or is that if I DO actually start writing stuff… oh, I’m confused. Wait! Officer, where are you going? Oh well, I’ll just get on with a sentence or two about this DVD I just saw, and hope I remembered to put on presentable underthings this morning. I’m one of THOSE people, you know the ones… while the rest of my peers obsessed over Star Wars and Battlestar Galactica, I had my head stuck in Doctor Who and Hitchhiker’s Guide to the Galaxy. I would drop my Nerf football or Legos every Saturday afternoon at 3 to run inside and catch Doctor Who on PBS. And for some unscheduled Brit-sci-fi fun, my collection (complete but always far from mint) of Douglas Adams paperbacks always waited for me. So for me and my ilk, 2005 looked to be a great year — not only was Doctor Who regenerated (seemingly out of nowhere, when there was no hope to be had even by the most blindly optimistic of fans) by none other than the BBC itself, somebody at Disney (Disney?!) finally threw up their hands and actually made that Hitchhiker’s script that had been kicking around Hollywood for decades (not an exaggeration). Surely, some of my geek brethren must have grown up and scored jobs in the entertainment industry. Not having been broadcast anywhere on this side of the planet, I’ve only managed to see less than half of the new Doctor Who season thanks to the wonders of internet piracy. I’m here to say that it is pure, glorious, totally-different-and-yet-somehow-still-Who. But Hitchhiker’s? It’s a bit of a mess, I’m afraid. As a lifelong fan, it’s a bit surprising to find myself wishing the film was MORE mainstream. It’s hard to imagine anybody who had not read and reread the book (or at least already appreciative of some Monty Python-style humor) not being totally and completely bewildered by the whole production. 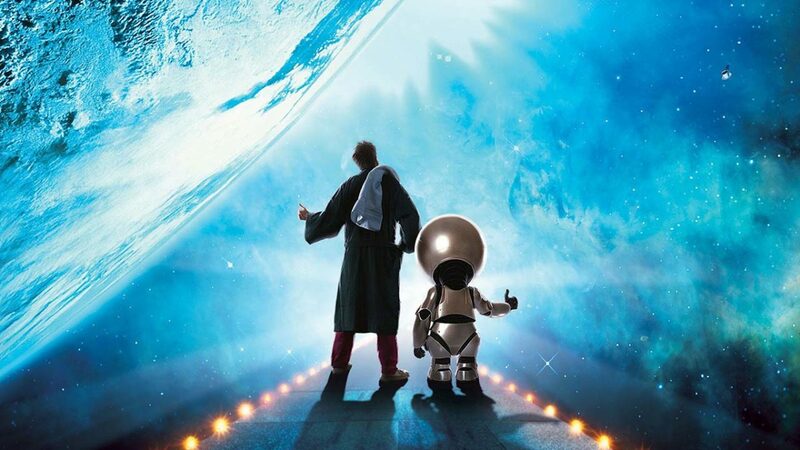 Some of the casting is so perfect as to be impossible to imagine otherwise: the voices of Alan Rickman and Stephen Fry, and wotsisname from The Office was surely born to play the definitive Arthur Dent. But as much as I like Mos Def, it has to be said he’s a mumbler (huh? what’d he say?). The filmmakers had the right idea to go for practical effects as often as possible, including some much-missed old skool puppet work from the Jim Henson Company, but it sometimes just doesn’t sit right paired with off-the-shelf-pow-zoom-blow-your-mind-just-like-the-last-blockbuster-you-saw-this-summer CGI. I reread the book for the first time in years, and it struck me that the whole thing is actually quite short, focused, and satisfying. It shouldn’t have been too hard to fashion it into a movie, but evidently the producers (and Adams himself, who co-wrote the screenplay) felt otherwise, quickly abandoning the plot specifics of the novel. But if the aim is to create an easily-digested summer blockbuster story, why (just for example) introduce a seemingly significant character who incapacitates a major character, who then promptly drops out of the story and the situation is never resolved? And the whole business about Zaphod’s brain would make no sense at all to anyone who isn’t a Hitchhiker’s expert (I wouldn’t have understood it myself if I hadn’t reread the book so recently). Anyway, I could go on but it’s late and I need to charge my iPod and myself (i.e. go to sleep). So I’m going to take my pants off anyway! Ha! A documentary by Nick Broomfield about the controversy surrounding the apparent suicide of Kurt Cobain. A thick soup of inconclusive opinions, recollections and possibly lies leave Broomfield not knowing what to believe (as he reveals in a despairing voiceover). He finally comes across a journalist willing to go on the record with several recorded death threats given by Love and, dishearteningly given that he was apparently a gifted, sweet, and loving person, Cobain himself! At last, some concrete evidence. Even then, Broomfield doesn’t quite reveal his feelings. So it comes as quite a surprise when he makes a guerilla attack upon Love at an ACLU event. Of course it’s an atrocity that she’s even there, given her documented behavior towards journalists (with whom of course Broomfield personally identifies), but his sudden and very public attack is powerful and shocking. Even his cameraperson couldn’t hold the camera still. Here’s the confessional part: I never really liked Nirvana. An interesting point about the film: unless I missed something, the word “grunge” is never spoken. Instead many individuals confidently describe Nirvana as simply “punk.” And you saw this coming: I never really liked punk. I think I have an intellectual understanding of it: the significance of its arrival and the wide-reaching spread of its influence. All true, but I don’t chose to listen to it. 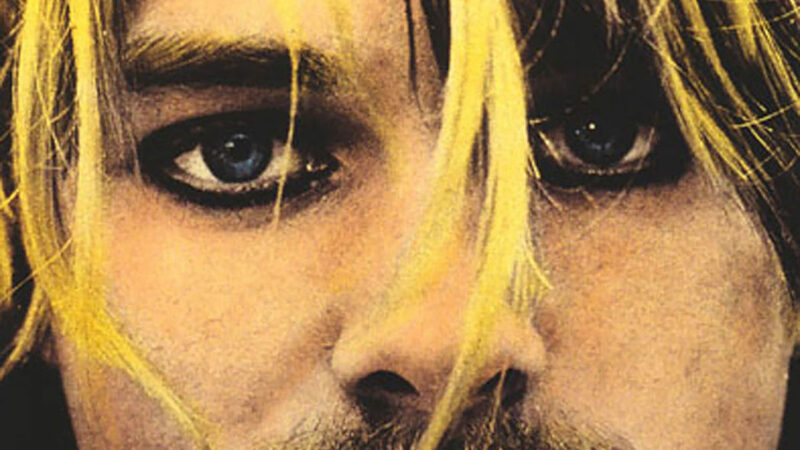 So I came to the film without a full knowledge of the music and the band’s history, and without the preconceived notions of Cobain and Love fans are likely to have. So for me, the film is not really about any of those things; its larger theme really has to do with how one can lose the big picture (to use a cliche without being able to think of a better term at the moment) the closer you look, and the finer your focus. And not to mention the disturbance your gaze can cause if you press it in too close. In recent months I’ve noticed my spam becoming increasingly bizarre. Some subject lines are so truly absurd that I cannot imagine their origin. Are they simply really bad translations of, say, Russian or Portuguese? Are they random machine generations meant to foil spam filters? It’s a mystery. 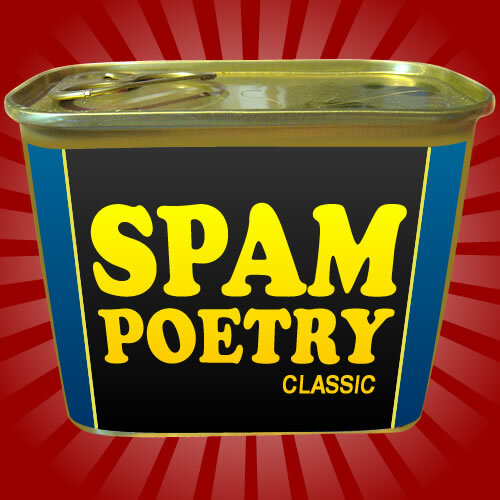 It has, however, made my daily batch of spam less of a nuisance and more a source of amusement. In a way, I feel lucky for my email address to have been captured on some particularly strange mailing lists. Sometimes, a line is strangely poignant: “He worry in unabridged volumes.” Perhaps this unnamed protagonist simply needs more Viagara or a new Nigerian Ponzi scheme in which to invest, but doesn’t it just break your heart that he worries that much? Which brings me to what may be the first in a series of found Spam Poems. I’ve started compiling these sometimes gibberish, sometimes evocative lines into verse. Each line is a complete spam subject line, completely unedited. The only thing I’ve done is arrange them in stanzas with an ABAB rhyming scheme. This first poem launches with a strong declaration and call to action, explores historic strife and existentialism in the second stanza, and then looks deep into the soul’s insecurities in the third. I hope you like it. Ugh. I should have listened to the myriad critics and friends who warned me off this one… it is indeed quite bad. Everything you’ve heard is true: impossibly long, unintelligibly edited (can anyone explain to me Alexander’s supposedly brilliant scheme in the first battle? Running away and coming back will allow greater access to strike the enemy king exactly how? ), and schizophrenic with regards to its sexual politics. So Alexander was bisexual, fine. But in this day and age, doing anything to avoid showing an onscreen kiss just calls attention to itself. Two pretty men gazing at each other and saying things like “By Zeus’ beard, you are indeed a great man” is just comical. And most amusingly: if accents are to be judged, Angelina Jolie’s character hails from Transylvania, and Alexander and his father came to Greece by way of down the pub. In fact, the kid who plays the young Alexander sounds more Irish than Colin Farrel himself! I rented the director’s cut, which bucks the trend in actually being shorter than the theatrical version (the only other director I know of to do this is Stanley Kubrick, who would often continue to abridge films even during release). At 3 hours, 55 minutes, I am quite glad I didn’t decide to go with the theatrical version. What was good about it? Angelina Jolie is always a pleasure to watch – an old-school movie star in the sense that her presence and beauty are so overpowering that she might as well be from another planet. 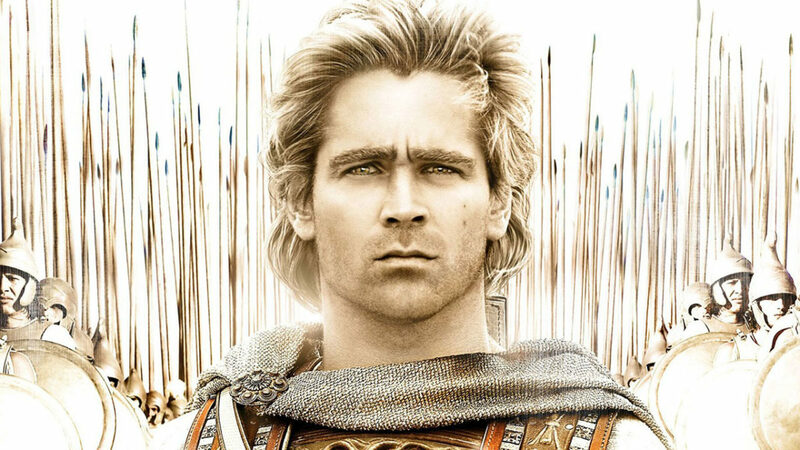 I’ve always thought Val Kilmer was a fine actor (especially in the underrated Spartan). And in a suprisingly plain-looking movie for Stone, it’s a great relief when he finally cuts loose in the surreal, literally blood-soaked sequence of Alexander’s near-fatal wounding in India.